On the evening of Friday, April 20, the Pack 29 Webelos crossover ceremony was barely over when Troop 50’s newest Scouts loaded up in the Auburn United Methodist Church bus to join the rest of their fellow Boy Scouts for the troop’s annual planning retreat. 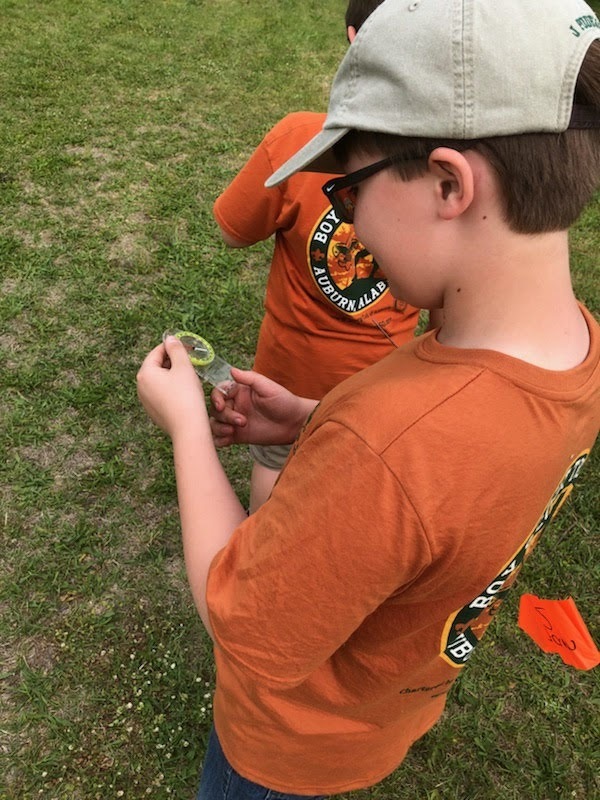 As soon as the bus arrived at Pioneer Park in Loachapoka, these newest additions to the troop hit the ground running — literally — with gear in hand for their first two nights of Boy Scout camping. Troop Committee Chair Rob Stanford (center) leads officially opens the troop's sixth annual planning retreat. 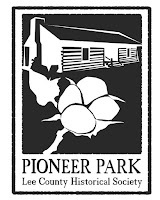 The troop held its annual planning retreat the weekend of April 20-22 in a new location — Pioneer Park, maintained by the Lee County Historical Society. The living museum features nine structures that depict life in the county from the mid 1800s through mid 1900s. 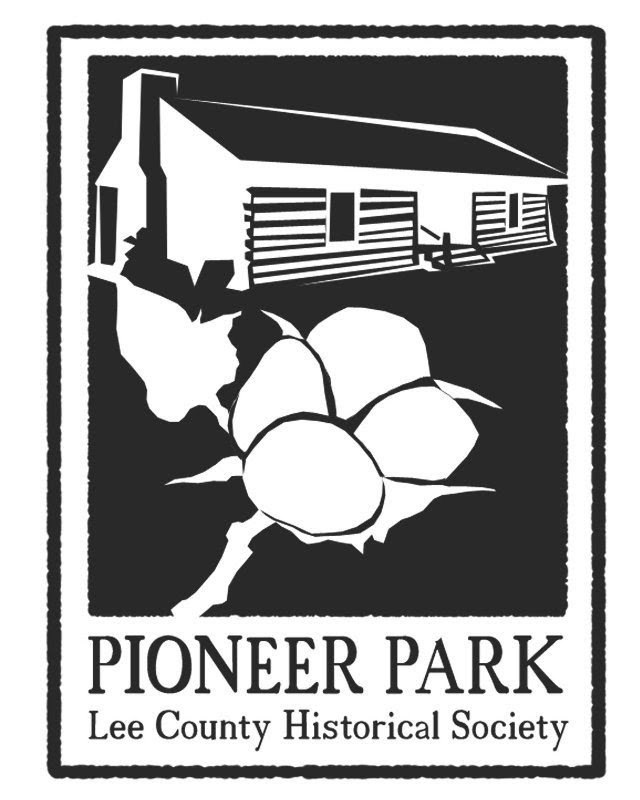 Among the park’s attractions is Dr. McLain’s Office, the site of Aiden Lytle’s Eagle Scout Leadership Service Project, and the McLain Garden, where Life Scout Jacob currently is completing garden improvements and the site of his Eagle Scout project. This year marks the troop’s sixth annual planning retreat, which provides Scouts, leaders and parents a forum to share observations about troop operations and input into activities that will comprise the troop’s upcoming year of programming. As a function of the troop committee, the retreat is facilitated by Troop Committee Chair Rob Stanford, who led discussions throughout the morning. outline the Scouts' discussions for parents and leaders in attendance. The retreat includes two components: a session for Scouts, where they critique past troop activities and offer suggestions for campout locations and programming for the upcoming year; and a session for parents and leaders, who review troop policies and budgets, and evaluate the best scheduling opportunities on the troop’s calendar for monthly outings and other troop events. The two groups then came together, where Senior Patrol Leader Rusty summarized the Scouts’ discussions, as well as their ideas for potential troop outings. And, as usual, those ideas ranged from the regular staples, such as canoeing and backpacking, to the extremes, like amusement parks and swimming with the manatees. Many of their ideas, however, made the list of potential outings and will appear on the troop calendar once logistics are evaluated and finalized. While the adults finished reviewing budgets and policies, Scouts and leaders returned to the campsite, where Scouts began preparing a lunch of hamburgers for everyone’s enjoyment. The campsite lunch gave parents the opportunity to see how the troop camps and the type of gear it uses. Following lunch and the parents’ departure, Scouts went about several afternoon planned activities. Most of the scouts participated in a service project to benefit the Historical Society by cleaning trash and other debris from a newly acquired building adjacent to park property. 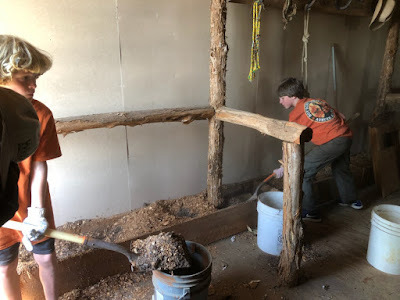 In addition to the use of brooms and shovels, Scouts also learned the benefits of dust masks when cleaning as the air soon became thick with the dirt stirred up by the brooms. At the same time, some of the older Scouts assisted Jacob with completing his Eagle Scout project. Later in the afternoon, the troop’s newest Scouts learned the basics of orienteering (that’s using a compass, for the benefit of those new to Boy Scouting lingo), and completed other early rank requirements. The troop concluded the evening with cooking dinner and dining by patrol, followed by an improv-style campfire organized by Life Scout and Troop Historian Jason. Sunday morning, after breakfast preparations and packing up camp, the troop assembled for its traditional Sunday morning devotional service, led by Charter Organization Representative Michael Tullier. The group discussed the idea of “making yourself at home” at a friend’s house and paralleled that with several passages of Scripture that speak to making God at home in our hearts. For more photos from the annual planning retreat, visit the troop’s online photo album.